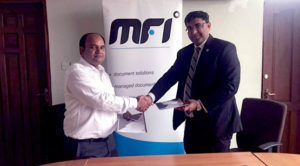 Avanza and MFI Enterprise Solutions Ltd. Tanzania have signed a partnership to provide Omni channel banking solutions in the African sub-Saharan region, which includes Tanzania, Burundi, Zambia, Malawi, Rwanda, Sudan, and Mozambique. Through this partnership MFI will be authorized to provide Avanza’s state-of-the-art Omni-channel banking solutions in the region. The solutions range from enterprise middleware, fraud management solutions, ATM controllers, and card production to internet banking services, covering all alternate delivery channels. 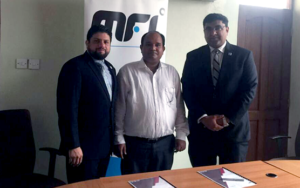 The agreement was signed by Mr. Jawad Qureshi (Head of Global Sales – Avanza Solutions) and Mr. Sanjay Kumar Rai (General Manager – MFI Enterprise Solutions Ltd. Tanzania) on May 22, 2017. MFI is an IT integration firm, based in Tanzania, with operations across sub-Saharan countries. With the aim to add value to businesses through the latest technologies, MFI serves its customers by providing infrastructure, enterprise applications, and other services. With 33 years of experience, MFI has established presence in 19 countries in the region.